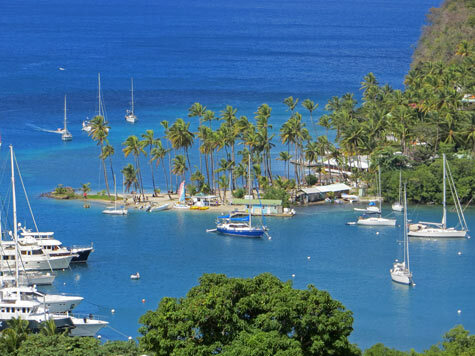 This overviews discusses St. Lucia's topography, beaches, roads, landmarks and tourist attractions. The capital and largest city of St. Lucia is discussed. The city centre, cathedral, central market and city hall are covered. This section is intended for cruise passengers. It focuses on cruise terminal facilities, transportation and port location. St. Lucia has two airports - one designated for inter-island flights and the other for international flights. It also has a ferry terminal.